It is not possible to successfully run an online business without lead generation and email marketing. That is not possible without having the right tools for the job. You need a tool to collect leads, send emails, convert prospects, and create forms for capturing leads. The problem is that you have to use different tools to carry out each of these functions. But that was before Wishpond. It combines all of the features enumerated above and more. In this write-up, you will read enough about Wishpond to be able to make informed choices when it comes to landing page builders. 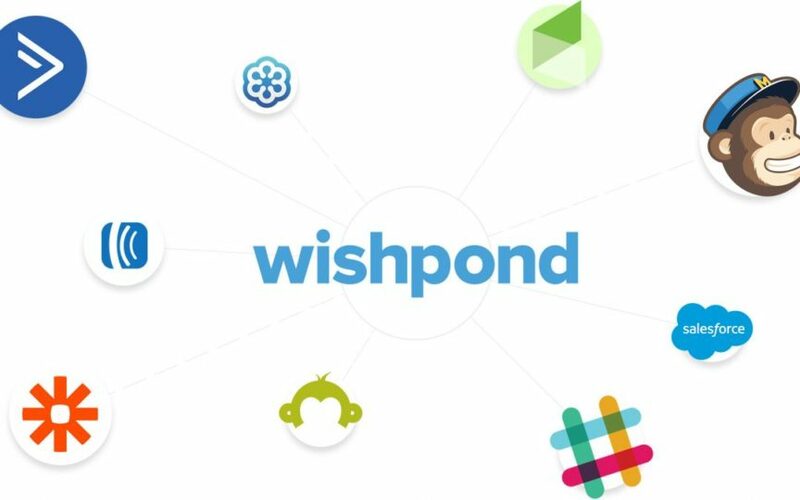 At its core, Wishpond is a platform that allows you to quickly create an account and do everything by logging in. As such, you can use Wishpond to build professional, attractive landing pages. Use this platform to add popup forms to capture leads, launch Pinterest or Instagram contests, send email newsletters, and automate email marketing. Wishpond has an easy-to-use, fast drag-and-drop feature to help you customize your designs in accordance with your vision. What Are Wishpond And Free Trial? Did you know that Wishpond has a number of great tools that can boost your online marketing drive? Apart from integrating different website features, you can easily make it attractive and incredibly lovable. The pages you built on this platform are infinitely mobile responsive. The building of the pages and integration of forms takes only a few minutes and doesn’t require the use of coding or IT skills. It is possible for you to run promotions and contests on Pinterest, Facebook, Instagram, and the rest of the social media. One of the best features of Wishpond is that it enables you to send personalized messages to your leads. But it is the lead management system that stands out for its efficiency. It is, therefore, easy to attract leads and to them engaged through by providing a feed that relates to your products. The following are the benefits of using the Wishpond platform to create and manage your landing pages. After using Wishpond for a while, it will create a leads database. This is useful for segmenting leads and tracking their engagement with your website. It has a tracking tool that makes it possible for you to follow the leads to the pages they frequent and the campaigns converting them. You are, therefore, better positioned to peep into your leads’ behavior. You can send out email campaigns through the marketing automation tool to any of your segmented email lists. That way, you don’t have to wait until you are ready to engage with the people on your mailing list. Out of all the emails sent out, you are likely to get a number of conversions, thus improving your marketing results. It is also to automatically send emails internally to your sales team as soon as a lead is ready to buy. On the basis of certain actions and properties, Wishpond can automatically segment the leads for you. If you like, add leads manually to the segments that make part of the lists for personalized marketing. Thanks to its great features, Wishpond is a go-to platform when it comes to upping your online marketing efforts. Now a closer look at the features that make Wishpond an effective online marketing tool. It is easy to create landing pages in Wishpond given the numerous templates you can choose from. It is also possible for you to drag-and-drop elements during the process of creating the best landing pages. The elements you can change almost on a whim include forms, social media tabs, video, images, and text boxes. Wishpond has a WYSIWYG editor which you can use to customize fonts, colors, and other landing page elements. In the end, what you get is a professional looking landing page. Apart from being mobile responsive, the pages are also high converting, no matter your industry. A/B split testing is possible with Wishpond. After you have created different versions of the same page, Wishpond will run the test and give you a detailed report. With that, you can choose the version of the landing page that has the highest conversion rates. Once you have created an account and logged in, pick your preferred template. You will have over 100 options to work with. You can preview the templates on the same page to see how they look like before picking the one that best appeals to you. You know you have a perfect template. Customize the landing page using the available widgets such as icons, buttons, videos, images, and text. Others include countdown timers, maps, social media buttons, and Facebook comments. Simply drag-and-drop the features on the template. Unlike other platforms which can only be used for building landing pages and popup forms, Wishpond takes it further with its ability to automate marketing. It makes it easy for you to send out automatic emails to all the leads. Every lead collected through conversion forms and popups is kept in a database. You can easily access their names and email addressed. Apart from sending out automatic emails, Wishpond enables you to track your leads in terms of favorite pages. You can also know the specific landing pages on which they converted. Based on the actions of your leads, you can award points to know how valuable the leads are. Contact the lead through email or receive notifications yourself. Update lead properties such as the lead score. Add/remove a lead from a given list. Wait for a specified period of time before taking action. With these simple steps, you can create an autoresponder series that involves a number of emails from the time the lead joined a mailing list. You don’t have to do anything manually. It is possible to add tailor-made forms the landing pages created through Wishpond. You will find numerous templates from which to choose. You can then drag-and-drop the features you would like to see in your forms. Exit intent: Acts as a last-ditch attempt to catch the attention of leads when they are just about to leave your site. Page Scroll: This pops up as soon as leads start scrolling down your page. Timed popups: These popups will appear after the visitor has had time to read the information on your site. Entry popups: As soon as someone opens your site, this popup will appear. Click popups Every time a visitor clicks on an image or link, an opt-in popup will appear. It is possible to run fun promotions and contests on social media through Wishpond. When people click on these promotions to vote, they surrender their email addresses which you can then use in marketing campaigns. Basic plan: You can get up to 1,000 leads. The monthly price is $69. Pro plan: You will pay a monthly fee of $119 for up to 2,500 leads. Growth plan: The monthly price is fixed at $199 for up to 10,000 leads. Paying any of these in terms of the whole year will save you up to 36 percent in discounts. You also get a two-week free trial. Are still considering whether you should sign-up for Wishpond? You have no reason to keep on procrastinating. Compared to the other lead page building platforms, it is an all-inclusive solution to your digital marketing issues. Apart from creating landing pages, you will also be able to run social media contests and promotions, webpage popups and forms, and marketing automation. Wishpond is worth investing in. Do it today! Landingi review – Better than leadpages?